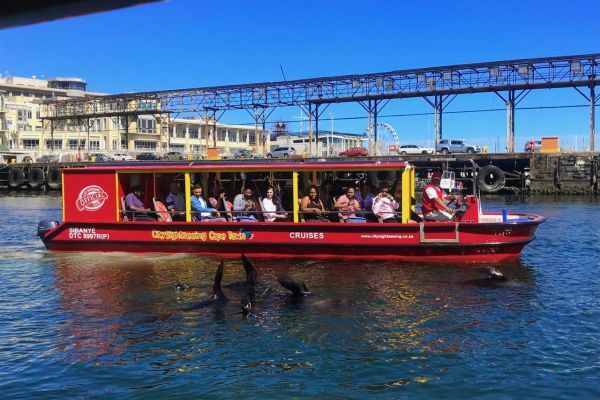 Spot seals, learn about the Waterfront harbour and see Cape Town from a fresh angle. Life in and around the Victoria and Alfred basins is busy. 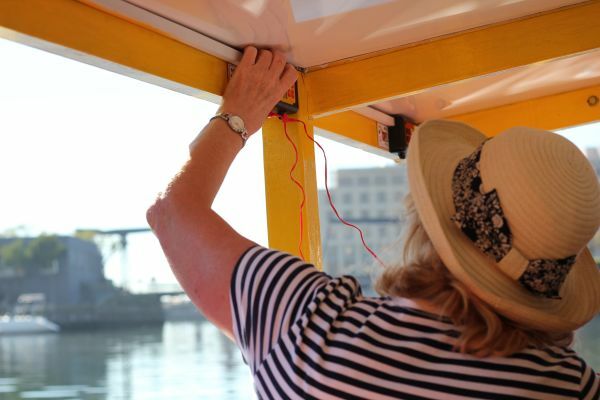 On this trip you'll come across resident seals to international ships visiting our shores. 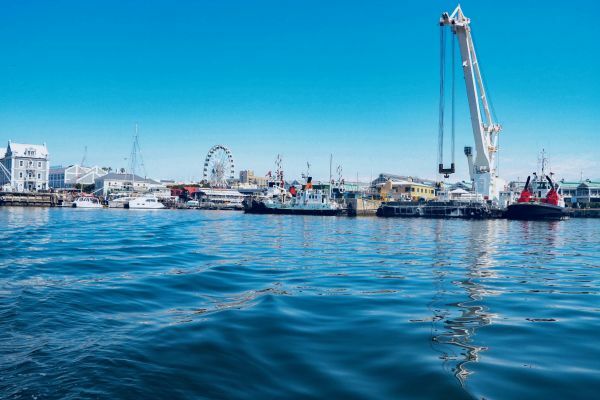 Hop on our Waterfront Harbour Cruise to see the city in a new light and learn more about Cape Town's proud nautical history. 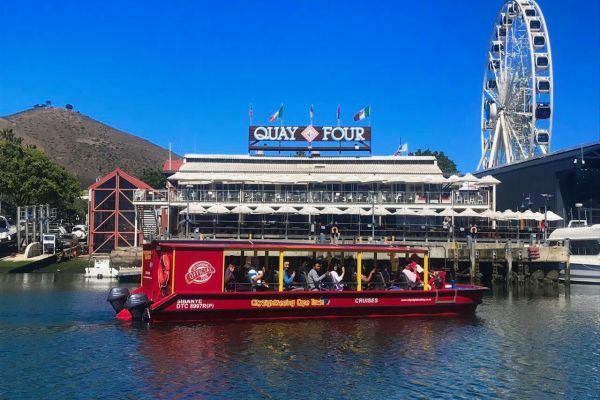 Best way to explore the V&A Waterfront harbour, the oldest working harbour in South Africa! Departing from the jetty outside the Two Oceans Aquarium at the V&A Waterfront, the Waterfront Harbour Cruise puts Cape Town’s bustling harbour in the spotlight. Expect to see key attractions including icons of maritime history as well as epic views of the city’s natural landscape. Highlights include the SAS Somerset, the only remaining boom defence vessel in the world, and the southern hemisphere’s largest synchro-lift and only drawbridge, the Bascule Bridge. 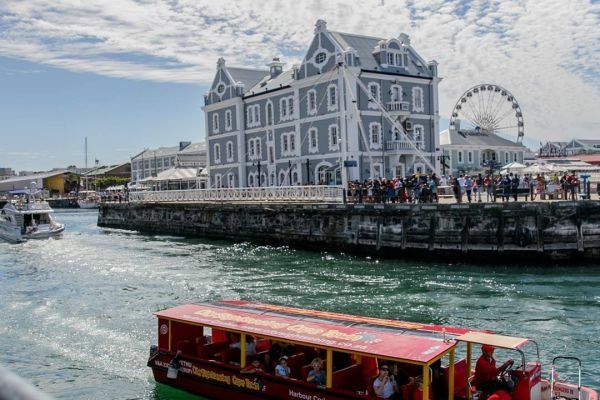 The cruise also includes views of Table Mountain, the Nelson Mandela Gateway, Chavonnes Battery Museum and the well-known Clock Tower. 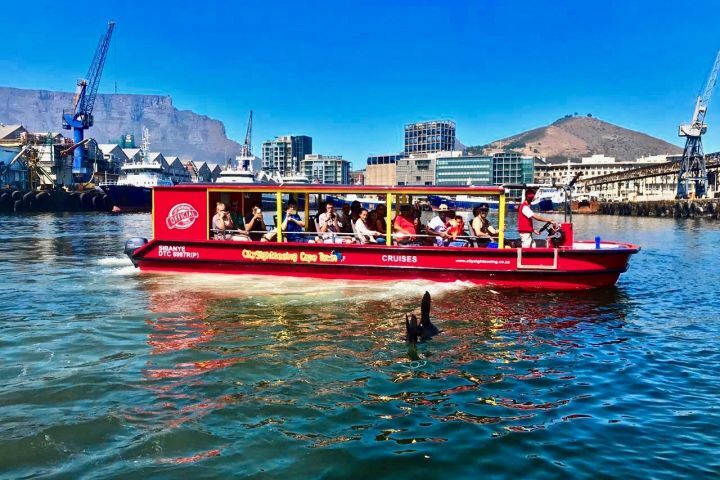 Of course, experiencing the bustling waterways of Cape Town from a boat is a highlight itself, and this cruise offers a perspective of the city that no other tour can offer. Built in 1941, the SAS Somerset was previously known as Ship No 280. It originally sailed to South Africa to provide services at the vibrant fishing area of Saldanha Bay. Today, the SAS Somerset remains harboured at the V&A Waterfront as a museum ship for public viewing. Also at the V&A is the Bascule Bridge, a pedestrian swing bridge that crosses the water to the Clock Tower. Before it was built, dockworkers and sailors used the Penny Ferry – a small rowing boat that crossed this section of water. The historic Clock Tower, built in 1882, was the original Port Captain’s Office and has been maintained to resemble its original design.